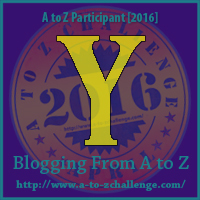 Y is for yellow daffodils. 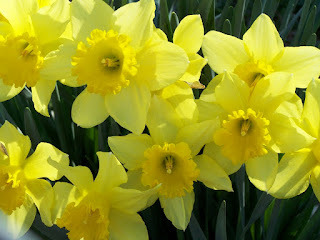 There is something about yellow daffodils that makes me happy. I don't know if it is the color, or the fact that they are flowers? I just smile when I see these flowers. 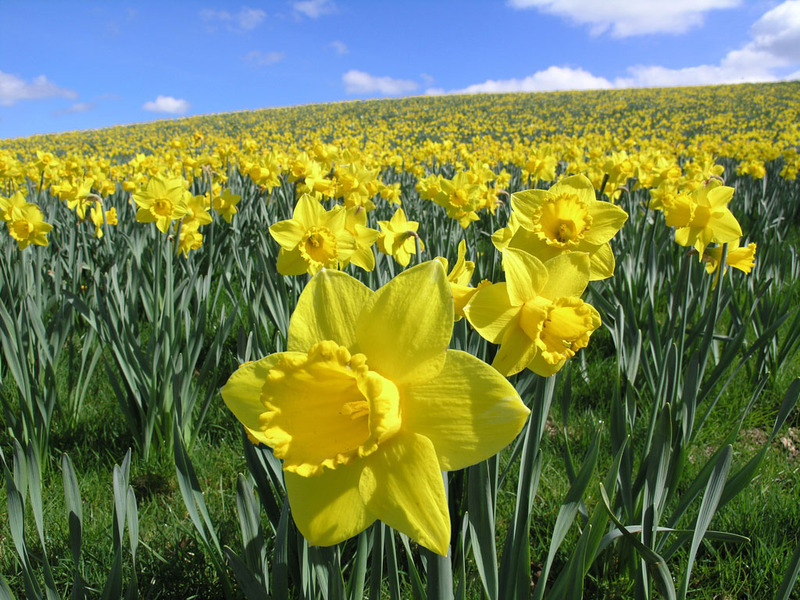 I would love to just run and jump through this field of daffodils. Wouldn't that be fun? No other flower scrams spring like the yellow daffodill. Here is a card I can't help but share. 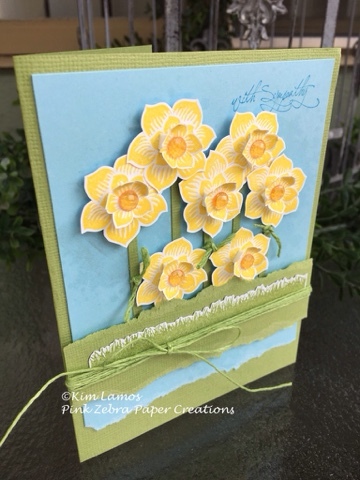 The base of the card is Lemon Grass Cardstock with a Pool Play cardstock piece on top, slightly smaller. I stamped the Pool Play cardstock with the Ink Splat ATS and Pool Play ink to create a background. I tore the bottom of the piece to add texture. I then took a strip of Lemon Grass Cardstock and ripped it on both sides. I stamped the grass from the Backyard BBQ stamp set in Lemon Grass ink on Whip Cream Cardstock. I detail cut this piece out and then adhered it to the strip of Lemon Grass cardstock. For the flowers, I stamped the Elegant Flower on Whip Cream Cardstock 14 times. I cut 7 of them using the outside line and 7 using the inside line. I then curled the edges if the little flowers to create the "cup" of the flower. I adhered these "cups" to the larger flowers using foam squares. The stems are strips of Lemon Grass Cardstock and tied piece of Lemon Grass Thread for the leaves. I placed everything on the card front and then added then added the strip on top. I stamped the sentiment from Little Big Greetings with Beach Breeze ink. To finish the card I added a piece of Lemon Grass Thread around the whole card and adding Rainbow Drops to the centers of the flowers. Enjoy! 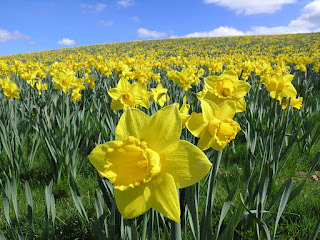 Such a festive looking card and I agree running through a field of daffodils would be so much fun!